"Amended provisions of the Act, are more or less of the same tenor as were the unamended provisions - which were held to be unconstitutional by this Court in Shri Shasara Lingeshwara. There is essentially little difference between the unamended Act and the amended Acts in so far as the offending provisions are concerned", the Division bench said while striking down Karnataka Religious Institutions and Charitable Endowments (Amendment ) Act, 2011 and the Karnataka Religious Institutions and Charitable Endowments (Amendment) Act, 2012, as being discriminatory, violative of Constitutional rights. 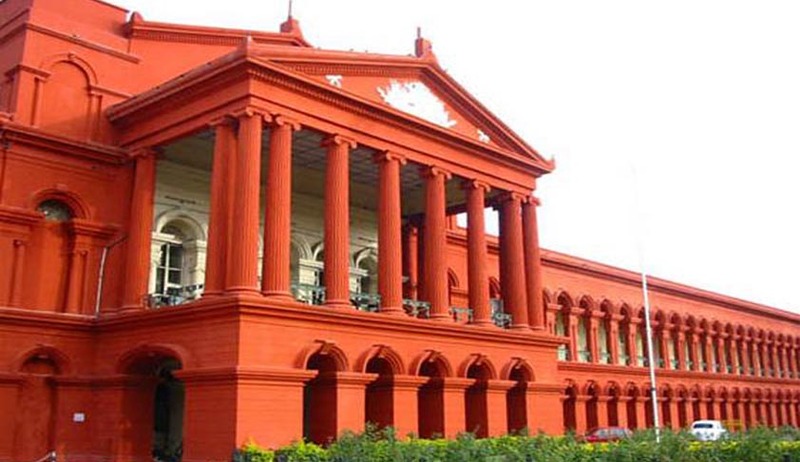 Karnataka High Court has declared that the Karnataka Religious Institutions and Charitable Endowments (Amendment) Act, 2011 and the Karnataka Religious Institutions and Charitable Endowments (Amendment) Act, 2012, are discriminatory and unconstitutional. Dharwad bench of the High Court has struck down the Act, observing that there is little difference between the unamended Actand the amended Acts in so far as the offending provisions are concerned. Division bench comprising of Justices Anand Byrareddy and S.Sujatha also said that amended provisions of the Karnataka Religious Institutions and Charitable Endowment Act, are more or less of the same tenor as were the unamended provisions - which were held to be unconstitutional by in Shri Shasara Lingeshwara case. In Shri Sahasra Lingeswaravs State of Karnataka, the petitioner had challenged the vires of Karnataka Hindu Religious Institutions and Charitable Endowments Act, 1997. Allowing those Writ petitions, the Division bench of Karnataka HC held that the Act is hit by Articles 14 and 26 of the Constitution of India and had struck down the entire Act. The Appeal preferred by the State is pending in Apex Court. Although a stay was granted by the Apex Court initially, it was vacated later. Meanwhile the Karnataka Government amended the Act, twice through Karnataka Religious Institutions and Charitable Endowments (Amendment) Act, 2011 and the Karnataka Religious Institutions and Charitable Endowments (Amendment) Act, 2012. This amendments were challenged in the present group of petitions. The Writ petitions were filed by about 64 temples, challenging the constitutional validity of the Karnataka Hindu Religious Institutions and Charitable Endowments (Amendment) Act, 2011 and also the subsequent 2012 amendment. These petitions were placed before a division bench - for disposal, with an intention that one stage of appeal be avoided and having regard to the need for an expeditious decision by this court. The petitioner contended that Amending Act of 2012 only seeks to reintroduce the very same unconstitutional provisions - with cosmetic changes - and is therefore a repeated affront to this Court. The Court said that in Shri SahasraLingeshwara, the Division bench had categorically opined that the exclusion of maths, from the purview of the Act, is in violation of Article 14 of the Constitution of India. The object of the Act was to bring in a uniform law for all Hindu religious institutions in the State and hence the exclusion of a math, and temples managed by maths, from the purview of the Act being discriminatory, it had held.The court said that in both the amendments introduced,maths and temples attached to or managed by maths, remain excluded from the purview of the Act. The court also said that the Division Bench had held that the exclusion of Buddhists, Jains and Sikhs, from the definition of the expression "Hindu",suffers from violation of Article 14 of the Constitution of. The court observed that there is no indication of including Buddhists, Jains or Sikhs under the definition of "Hindus", by the subsequent amendments. The court also said that exclusion of Scheduled Castes and Scheduled Tribes from the membershipof the Committee of management of a Hindu Religious Denominationwas violative of Article 14 of the constitution of India. The court held that the 2012 amendment which inserted a new Section 25, suffers from the same infirmity. The court, referring to the decision of Apex court in Grand Kakatiya Sheraton Hotel and Towers Employees and Workers Union vs. Srinivasa Resorts Limited and others, (2009) 5 SCC 342, said that, in a situation where a statute is held to be unconstitutional, the offending provisions cannot be reintroduced with cosmetic changes. The court said that, in view of the fact that that the Supreme court having granted an interim Order of Stay of the judgment of the Division bench of Karnataka HC(which struck down the Act as unconstitutional) and then vacating the interim order in so far as Section 25 of the Act, the Section could not be reintroduced in its avatar as contained in the amended Acts.